Located in Montclair, Halcyon Brasserie is a purveyor of fine American dining. 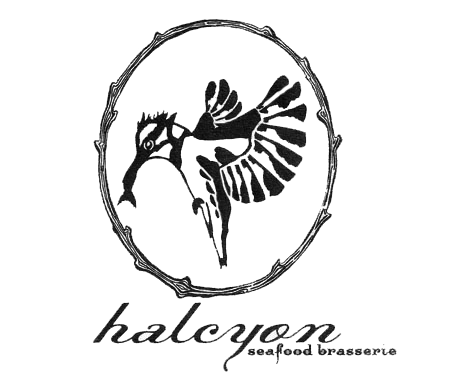 The Halcyon Brasserie is a neighborhood restaurant offering a raw bar, chef prepared entrees, and brasserie plates. Sit down to lunch and dinner, or visit us every Sunday for our Sunday Brunch! Additional to our main dining area and event lounge space, our full bar serves fresh cocktails, martinis, rotating beer on tap, and generously poured wines. Sit down to dinner, have a drink at our bar, or discover our comfortable upstairs lounge where you can enjoy craft cocktails and live music. The perfect space for private parties. Bread service is available upon request. Note: Consuming raw seafood or shellfish may increase your risk of food-borne illness, especially if you have certain medical conditions. Check Out Our New Children’s Brunch Options! A more extensive wine and cocktail list is available in-restaurant and upon request. Please call or ask your server for our selection of Classic & Craft Beers on Draft.